Having recently featured on the 2012 Album of the Year list, it is with great pleasure that I can confirm that the creator of the incredible Half Way Home will play The Half Moon Theatre on the first Friday of May. 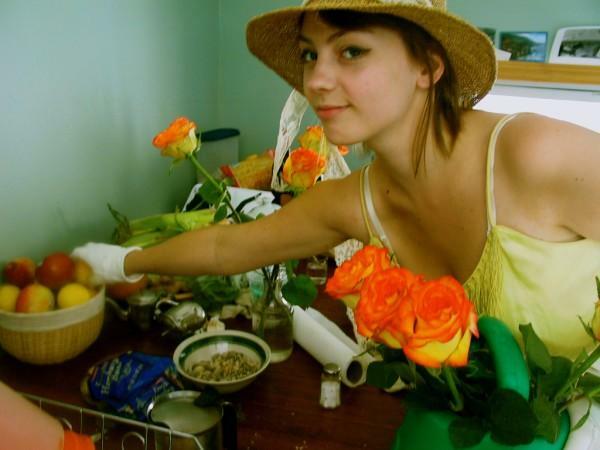 "Angel Olsen has a fresh edge to her sound, a warm and wonderful range, and an otherworldly skill and charm. Her special presence became apparent through her debut, Strange Cacti and radiates even more on her sophomore album, Half Way Home. Released last month on Bathetic Records, Half Way Home is a continuation of Angel's elegance, a collection of both new and old music, honed and matured, thoughts revisited. It presents this beautiful woman and her extraordinary voice taken to a new level, in no doubt a growth and reach brought on by many road trips with Bonnie "Prince" Billy and crew. It's an emotional stew with Angel's robust voice up front, bold and engaging, aching to be heard. Joined by Emmett Kelly (The Cairo Gang) behind the board and playing throughout the songs, Half Way Home showcases the wondrous sounds of a songwriter with such a voice that is rarely found."